The Free Hit chip delivered for Fantasy Premier League managers in Gameweek 31. Added to the game for this season, the chip always seemed perfect for managers dealing with postponements to the fixture schedule. And so it proved on Saturday. The majority of managers who used the chip experienced a climb in ranking. Some 444,167 managers activated the chip ahead of Gameweek 31's four fixtures. That made it the most popular time to play the Free Hit this season, surpassing the 154,096 played in Gameweek 22 when Tottenham Hotspur and West Ham United each had two fixtures. The average score achieved by a Free Hit manager in that Gameweek was 61.2, compared with the average of 50.6 scored by those managers who did not use the chip but made at least one transfer. In Gameweek 31, the advantage for Free Hit managers was far, far bigger. The average score recorded by a manager playing the chip for Saturday's fixtures was a massive 95.5. In contrast, those managers without the chip but making at least one transfer scored an average of 70.1, a difference of just over 25 points. And that gap was undoubtedly lessened by managers preparing their squads for the reduced set of fixtures. Of those managers making transfers in Gameweek 31, some 44.4 per cent spent at least four points on extra trades. It meant that an impressive 94.7 per cent of managers who used the Free Hit enjoyed a climb in the overall rankings. 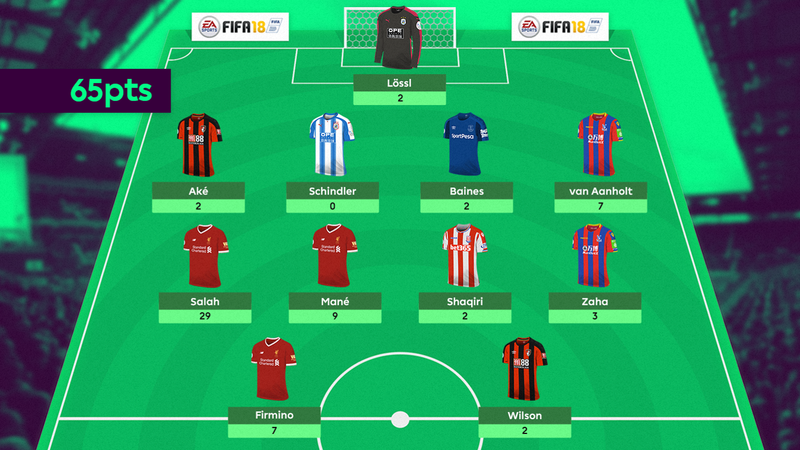 Their advantage could have been greater had more placed their faith in Mohamed Salah (£10.7m), whose 29 points were the highest of any player in a single Gameweek this season. Surprisingly, only 80.6 per cent, or 358,037 managers, using the chip chose the Liverpool winger as their captain. The next chance to play? But those still holding the Free Hit should not be discouraged by missing out. With four postponements confirmed for Gameweek 35 due to the FA Cup semi-finals, there is another opportunity to exploit the chip. This window also offers fringe benefits. Double Gameweeks, defined as Gameweeks where teams play more than one fixture, are expected to be confirmed very soon. One could be scheduled for Gameweek 34, immediately before the postponements. Those with the Free Hit still available can make transfers or use their second Wildcard ahead of Gameweek 34 with little or no regard for the missing fixtures to follow. Ultimately, that could prove to be an even bigger advantage than that gained by Free Hit managers on Saturday.